Clinical Hypnotherapist D.M.H. CPNLP. D.Hyp. 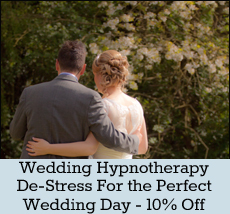 International Clinical Hypnotherapist currently living in Warwickshire (Leamington Spa). Clients are national and international. I have worked within the corporate world of business for over 25 years and during that time I have seen many people with many issues from all walks of life, cultures, nationalities and faiths. From board rooms in all industry sectors from retail, logistics, manufacturing, telecommunications, finance, media, travel and public sector. I have had the privilege of working with a vast array of people, Professional Footballers, Nutritionists, Actors, Chefs, Stewardesses, Sea Captains, Housewives, Husbands, Students and so many more. We all have issues! With each and every person I have met, I have learned something about myself and my own beliefs and behaviours. Life is a series of learning experiences. As a Clinical Hypnotherapist, Certified EFT (Emotional Freedom Technique), NLP Practitioner and Coach, I feel proud that these skills have only added to the spectrum of value add I can provide to help meet clients’ needs. A honour to be able to assist positive change and impact lives in helping clients to identify their own limits, beliefs and behaviours. Assist them to turn around their lives positively in realising their goals and dreams. Having gone through Breast Cancer, I personally worked with Hypnotherapy to help overcome those black moments where hope can fall through the floor – for all cancer participants, you will understand completely. 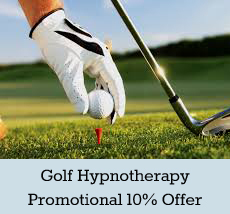 Hypnotherapy had a huge impact on my positive approach to getting well and for getting back to living life. I am a trustee of Coventry and Warwickshire Hospital Charity (The Arden Centre), Birdies4breast and Pars4prostate charities. I have a range of Hypnotherapy associates working alongside me specialising in specific hypnotherapy services such as Hypnobirthing. Keep watching our site for more info or simply contact me for more information.